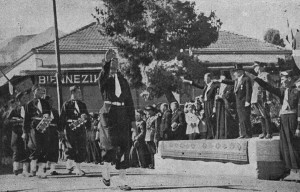 Petty politics in Greece and the so-called National Schism divided Greek politics and society in the mid-1930s. 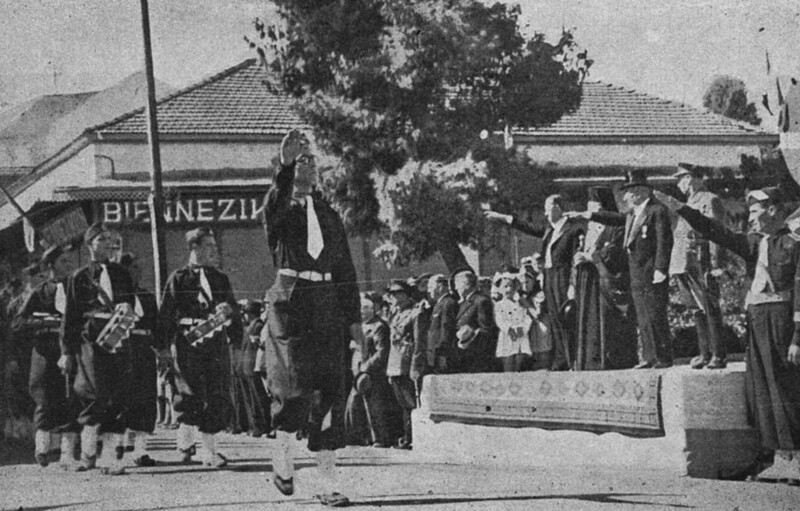 A number of coups d’état and sudden changes of governments led King George to choose General Metaxas to head a new government in 1936. As the new strong man in Greece, Metaxas was able to put an end to the instability and finally restored public order. The cost was an extended period of deprivation of freedom. The repression of human rights set the stage for more bitter political divisiveness after World War II. 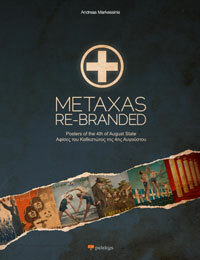 Metaxas modeled his regime on the fascist governments of Adolf Hitler and Benito Mussolini. Political parties and trade unions were abolished, strikes became illegal, political opponents were arrested, and press censorship prevailed. Metaxas dismantled the old patronage system based on Royalist and Venizelist party loyalties. Ironically, by sweeping away political parties the rightist dictatorship created a political vacuum in which the constituency of the Greek leftists, especially the communists, grew larger. The secret police under Maniadakis became all powerful; communists and other leftists were subjected to especially brutal repression. Over 30,000 persons were arrested and incarcerated or exiled on political grounds, and torture was routinely used to extract confessions or accusations that others had acted against the state. A new form of the National Schism, now Left versus Right, was being created as the old one lapsed. Metaxas’ “Third Hellenic Civilization” (the first being ancient Greece and the second the Greek medieval empire of Byzantium) lacked the broad base of popular support enjoyed by the dictatorships of Hitler and Mussolini. 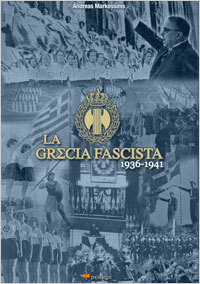 Greek fascism was not a mass movement, nor was it based on a coherent ideology or racist dogma. 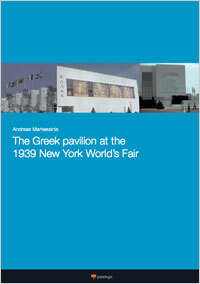 In general, the Greek public neither supported nor actively resisted the authoritarian paternalism of Metaxas. In extolling the virtues of self-sacrifice for the public good, Metaxas sought to reshape the national character. He established a variety of national organizations such as the National Youth Organization EON to foster those virtues in Greek citizens. Metaxas sought to reduce labor unrest by raising wages and improving working conditions in industry and by raising agricultural prices and absorbing farmers’ debts. By 1938 per capita income had increased drastically, and unemployment was dropping. For the working classes, he instituted a coherent program of public works and drainage projects, set wage rates, regulated hours of labor, guaranteed the five-day work week, and passed other measures aimed at making the workplace safer. The bureaucracy and the military were revamped and streamlined. Foreign policy was the main dilemma for the 4th of August regime. 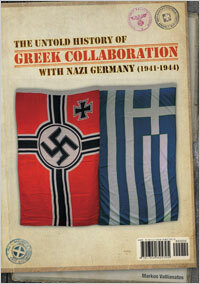 Metaxas saw his fellow dictators in Germany and Italy as natural allies, and indeed Germany made major advances into Greek markets in the late 1930s. But Greece’s national security remained closely tied to Britain, whose fleet remained a dominant force in the eastern Mediterranean. Moreover, as Italian policy developed in the 1930s, Mussolini’s plans for a “new Rome” obviously conflicted with Greek ambitions to control the Aegean and the Dodecanese Islands and exert influence in Albania. Italian expansionism in the region placed Metaxas and Mussolini on a collision course. As war approached in Europe, Metaxas found it increasingly hard to walk the fine line between the Allies and the Axis powers. Mussolini’s persistent provocations settled the issue. In October 1940, Italy demanded that Greece allow Italian occupation of strategic locations on Greek soil. Although Metaxas’s resounding refusal plunged Greece into war, it also significantly improved Greece’s national self-esteem.